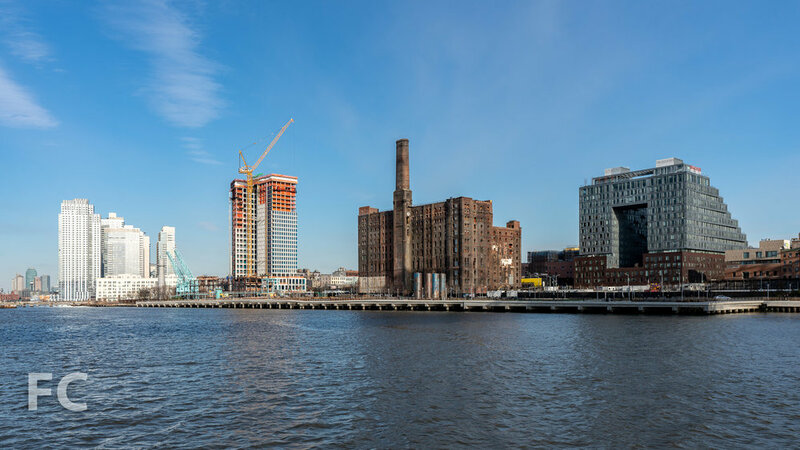 Domino Sugar development with 327 Kent (right) and 1 South First (left). 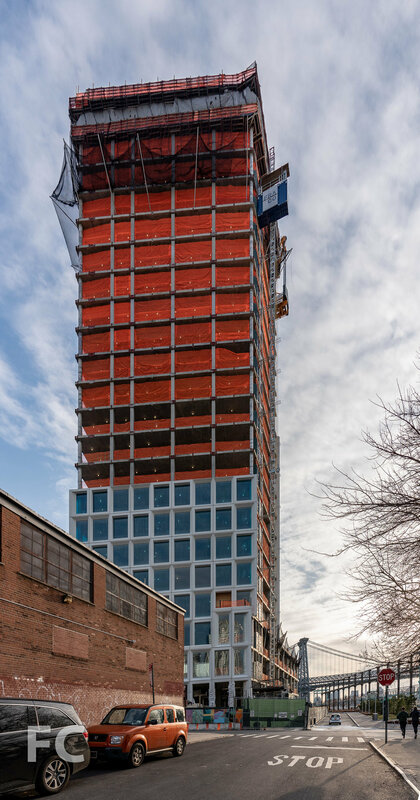 Facade installation continues at 1 South First (formerly 260 Kent), the second residential tower of the Domino Sugar master plan. 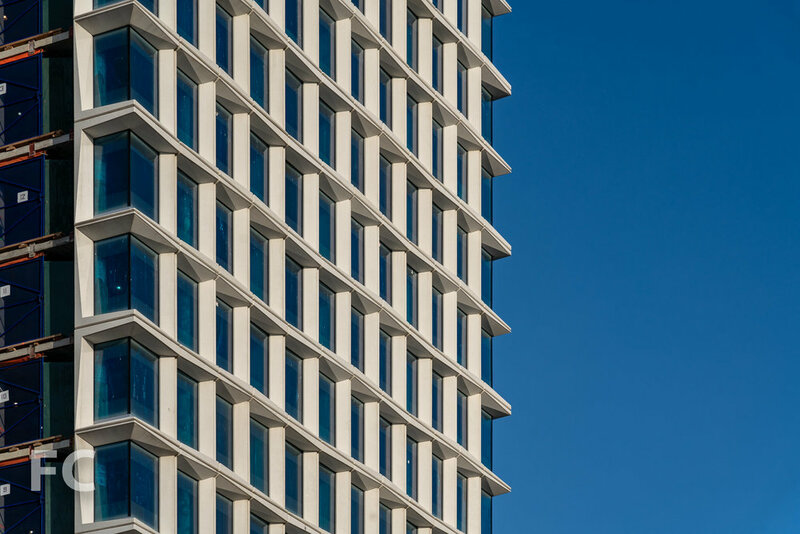 Designed by COOKFOX Architects, the 42-story tower is located at the northern boundary of Domino Park. Along with 330 residential rental units, the mixed-use building will also contain 22-commercial floors with 150,000 square feet of office space and 13,000 square feet of retail. 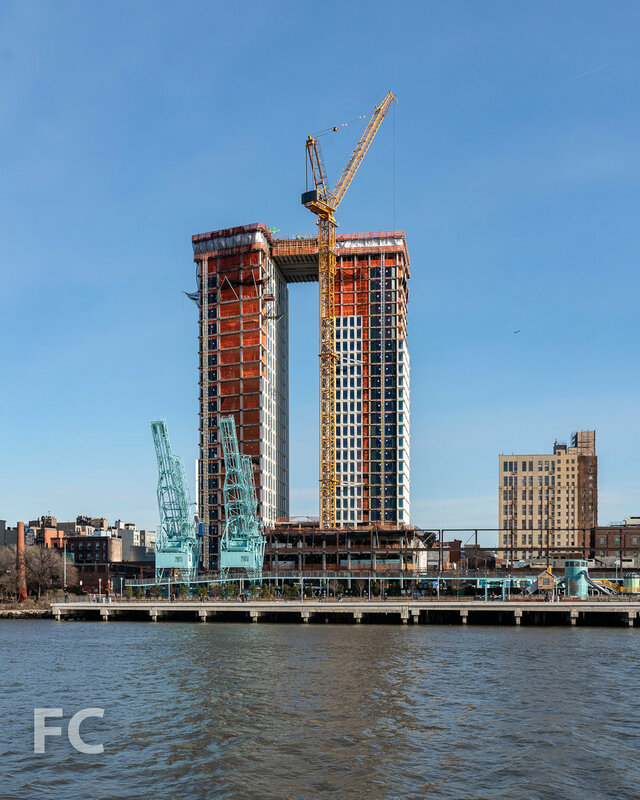 Superstructure has reached the 28th floor, surpassing the halfway height mark. West facade from the East River. COOKFOX was inspired by the molecular structure of sugar crystals for the design of the precast concrete panels that clad the exterior. The molds for the panels were 3D printed using the same BIM model developed for the design and documentation of the building. Southwest corner from River Street. Northwest corner from Grand Ferry Park. Northwest corner from River Street. Northeast corner from Grand Street. Southeast corner from Kent Avenue. Architect: COOKFOX Architects; Developer: Two Trees Management; Location: Williamsburg, Brooklyn, NY; Completion: Late 2019.